When you are selling a house, your buyer will sign a purchase agreement and then a home inspection will be conducted before the final closing paperwork is signed. 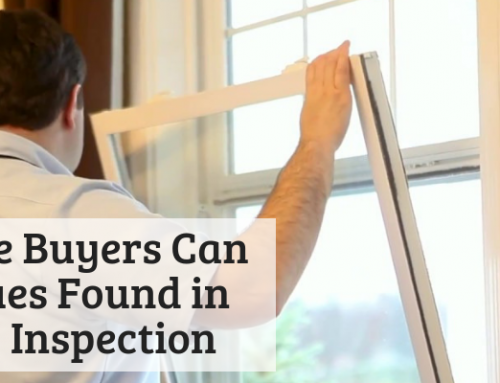 Most agreements give the buyer the option to back out of the sale based on what is found in the home inspection. So, if the inspector finds that the foundation is damaged or the house will need a new roof next year, the buyer may have the option to abandon the sale (though not without losing some money in the process). Typically, you know what is wrong with your house before you list it, and you either fix it before listing or you disclose the information in the listing and sell the house as is. Sometimes, the inspection may turn up something you didn’t know about before the listing. Doing a little preparation before the listing will ensure you don’t have any surprises, and it will help you have a smoother inspection process. Water damage can lurk under your floors and behind your walls without you realizing it. This damage will certainly be discovered during a home inspection, and most buyers are going to expect you to repair the damage or provide some other compensation for it. It’s better for you to discover this damage before you list your home so that you are presenting the property in its best condition. Walk around the home to look for signs of leaks or water damage, such as water around the sinks or toilet, water under the kitchen sink, and even water under your appliances, such as the washing machine or refrigerator. Signs of water damage can include yellow or grey marks on the walls or ceiling, soft spots on the floor, peeling paint, or warping or buckling of the floor or walls. If you see any of these signs, call a plumber to get to the bottom of things and make any repairs that are necessary. Pests can also hide out deep in the recesses of your home without you knowing it. If they are turned up in an inspection, it can be a problem, depending on the extent of the infestation. It’s better to treat for the pests now. Not only will you eliminate any potential problems during the inspection, but you’ll also ensure that your home looks its absolute best for the showing. You don’t have to worry about any creepy crawlies showing up and embarrassing you in front of potential buyers. The inspector will check to see that all electrical outlets and lights are working properly. If your fuse box isn’t labeled properly, he may mistakenly think that certain areas of your home are not working properly. 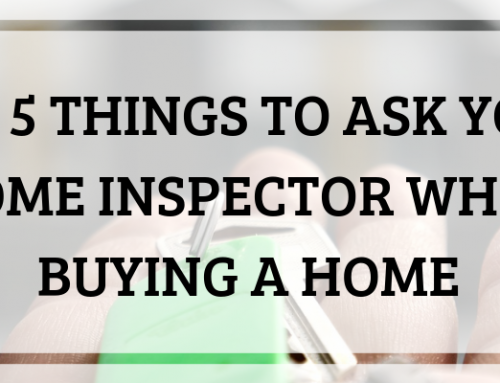 Not all home inspectors will take the time to figure out what’s happening. Just save yourself some trouble and go through and label all the fuses for a smooth home inspection. You have a pilot light for your water heater (which should be on all the time), your furnace, and your fireplace (if it’s gas). If you haven’t used your fireplace in a long time, the light is probably out, and it won’t be easy to start it up. 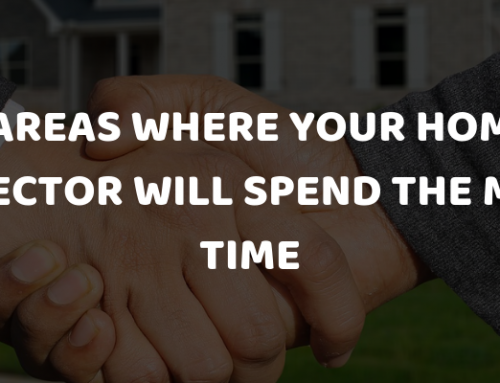 Your home inspector should know this, but some just won’t take the time. Some will just make a note that it wouldn’t start and it could indicate a problem. Just turn on all pilot lights so that there is no opportunity for misunderstanding. You should not be there while the home inspector is doing his job. Therefore, you should be prepared to leave at least two hours before he is scheduled to be there (in case he’s early), and you should either take your pets with you or ensure that they are crated. If you are not living in the house, you should be sure that all the utilities are still on. Clear areas around systems to ensure the home inspector has room to work (the attic is a big one). Make sure everything is unlocked and the inspector can do his work freely. 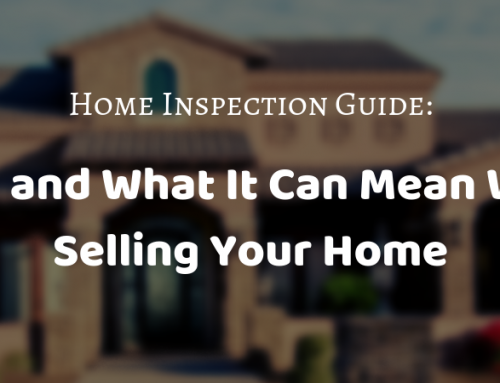 The outcome of your home inspection can have a big impact on your home sale. Make sure you do what you can to prepare your house ahead of time, and then take these steps to get ready for the inspection. Hiring a professional home inspector can also make a big difference on the outcome. ATS Home Inspectors has many years of experience performing home inspections in Arizona. We have a reputation for dependable and thorough work, and we offer a guarantee on our inspections. Call us in Arizona to schedule your home inspection today. 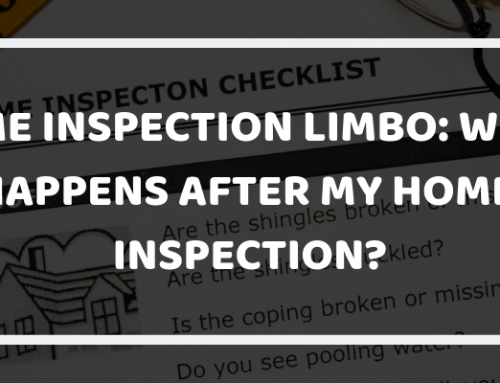 Home Inspection Limbo: What Happens after My Home Inspection?